An intermediate, vinyasa flow class where the transitions are as important as the asanas. 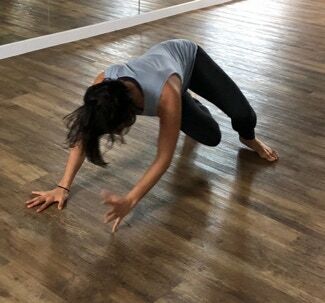 After a slightly slower start of somatically based awareness exercises, the class moves into longer, more dynamic and more choreographed sequences linking breath and movement. Previous experience of yoga and/or other movement techniques is essential; the class, however, gives plenty of individual choices and alternatives .